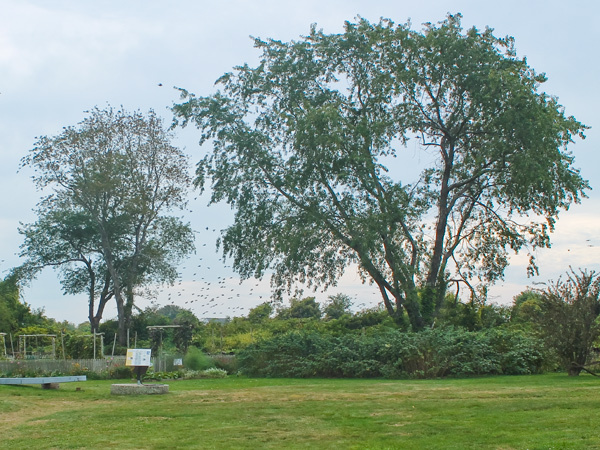 Owned and operated since 1970 by the Newport Restoration Foundation, this 40-acre parcel is home to a collection of historic buildings rescued from imminent destruction, nearly all of which were dismantled elsewhere and re-constructed at the site. 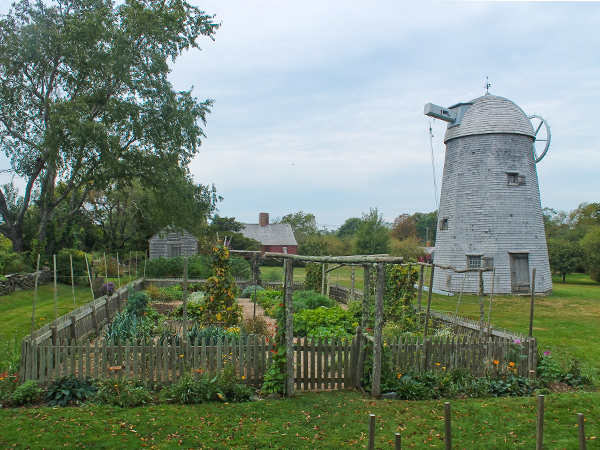 A pond and brook divide the grounds into northern and southern sections, the latter operated as a museum, interpreting the landscape and rural life typical of a farmstead on Aquidneck Island in the eighteenth and nineteenth centuries. 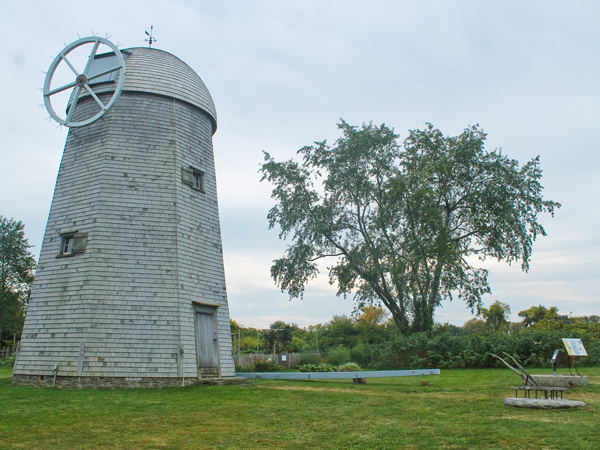 To the north are several historical structures, which have been restored and rented to tenant-stewards. 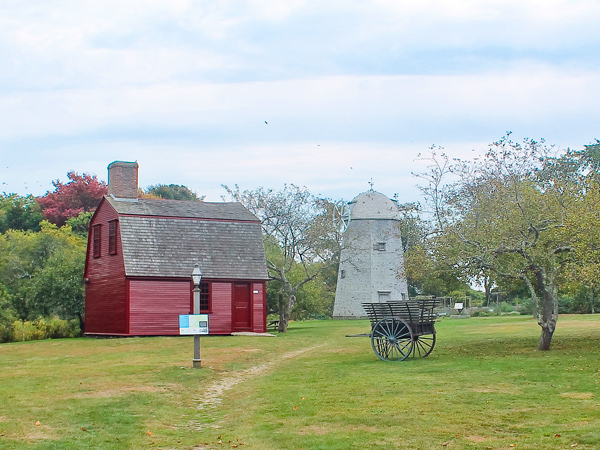 Among them is the gambrel-roofed Nichols-Overing House, built circa 1730 and original to the site. 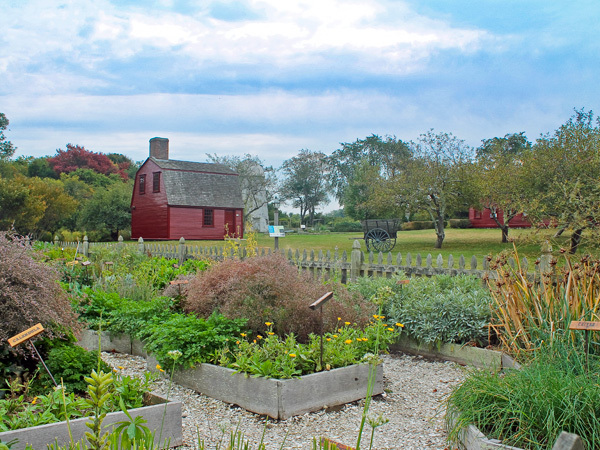 This stately residence belonged to Loyalist Henry Overing, and served as headquarters for the British General Richard Prescott, whose kidnapping by American raiders in 1777 made the property noteworthy. 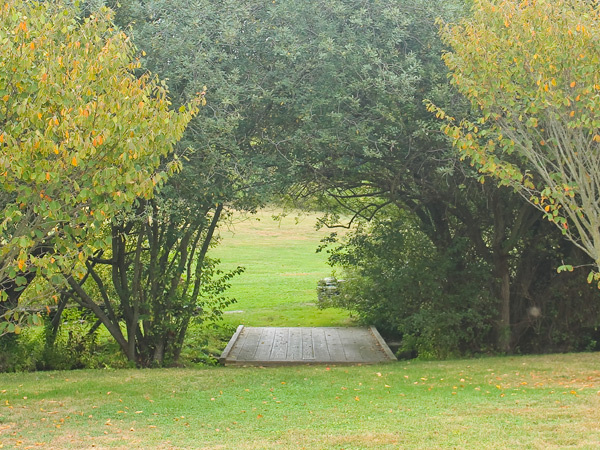 A short footbridge crosses the brook leading to the south, where beaten paths meander among apple trees, additional period-houses, and a four-vaned windmill (circa 1812), which served a distillery in Warren, Rhode Island, and two subsequent sites in Portsmouth, before being installed at Prescott Farm in 1969. 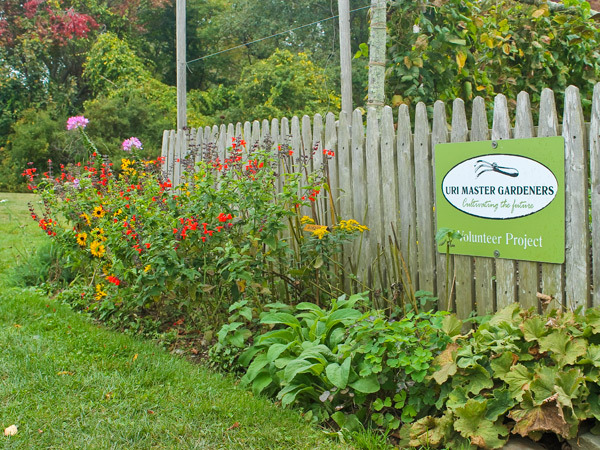 Picket fences surround kitchen and herb gardens, which were researched and planted through the University of Rhode Island’s Master Gardeners program, and include plants used for colonial-era foods and medicines. Low stone walls mark the property along West Main Road, from which it is entered, and are used to outline its fields, as well as the pond near the road. The western portion of the parcel is occupied mainly by trees surrounded by low scrub.